Asiaone, Asiaone Magazine, URS International Asiaone, Business News, Politics News, Latest News, Luxury and Lifestyle News, Feature Articles, Technical News, Sports News. 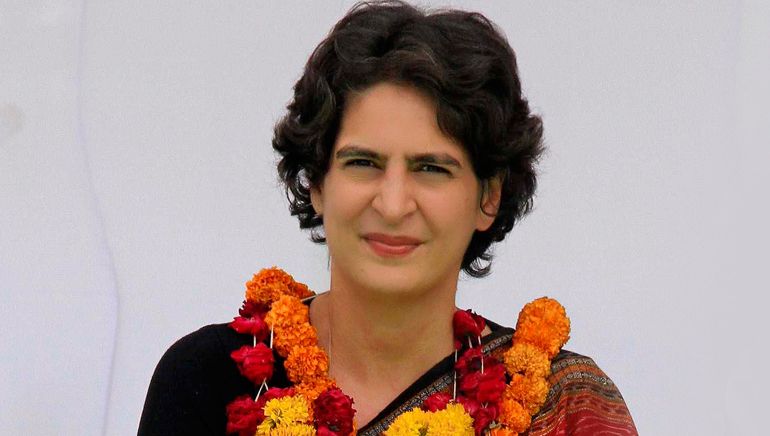 Politics and Priyanka Gandhi Vadra have a thing going on and it’s magical! Each time she enters the limelight, an average Indian can’t help but wonder: will she [join politics] or won’t she? And the way she has handled the Congress party campaigns in the past, there is no doubt that she shows an immense capacity for the power game. Though she has been denying the speculations about her joining politics, people do not seem to be convinced. And why will they be? After all, she is a Nehru–Gandhi scion and a member of India’s first family. The lady’s lineage speaks volumes about the chances of her being a political success. Gandhi–Vadra’s father, grandmother, and great-grandfather – actually almost every single person in her family – have been at the forefront of the Indian politics. A good orator and a charismatic leader, she has often been compared to her grandmother, Indira Gandhi, an enormously influential Prime Minister, to whom she bears a striking resemblance. And this talent of her was discovered in the Indian General Elections 2004, where she played the role of a main campaign manager for her mother, Sonia Gandhi and outshined everybody. Despite the hoopla Gandhi–Vadra has been generating, she prefers a quiet life and refuses all kinds of public engagements. She believes in living her life on her own terms and conditions! United World Group Holdings LLC is a business conglomerate and being run by a group of family offices operating in the areas of Real Estate, Gems & Jewels, Publishing & Research, Recruitment services and Media Consulting.